More than half a century ago, the naturalist Farley Mowat accepted an assignment to investigate why wolves were killing Arctic caribou. 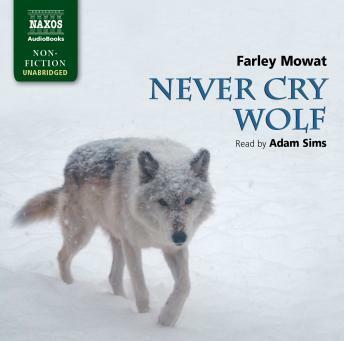 Mowat's account of the summer he lived in the frozen tundra alone - studying the wolf population and developing a deep affection for these wild creatures (who were no threat to caribou or man) - is today celebrated as a classic of nature writing, at once a tale of remarkable adventure and an indelible record of the myths and magic of wolves. Never Cry Wolf was made into a major motion picture by Walt Disney Productions.